A single iris bloomed in our front flower bed. We had no idea that was what was planted in the bed. 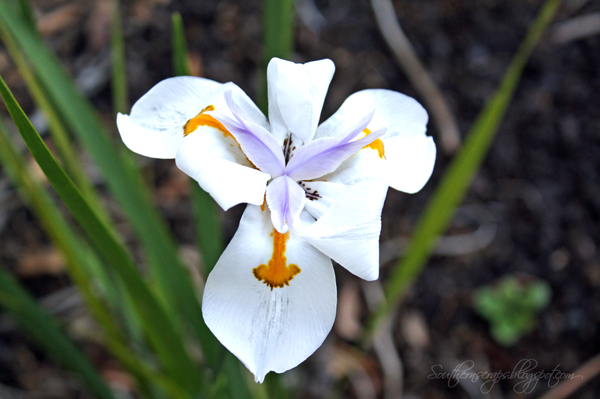 You have discovered a Siberian Iris---much prettier than it's cousin the bearded iris. The Siberian has a sharper, crisper looking flower than the bearded ones. These are my favorites! Thanks for sharing.